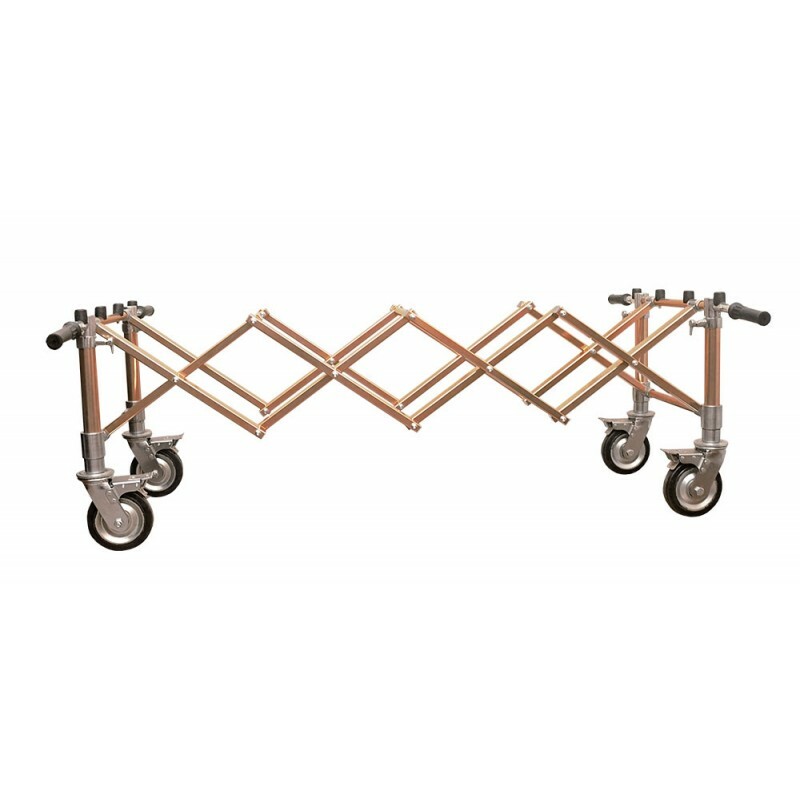 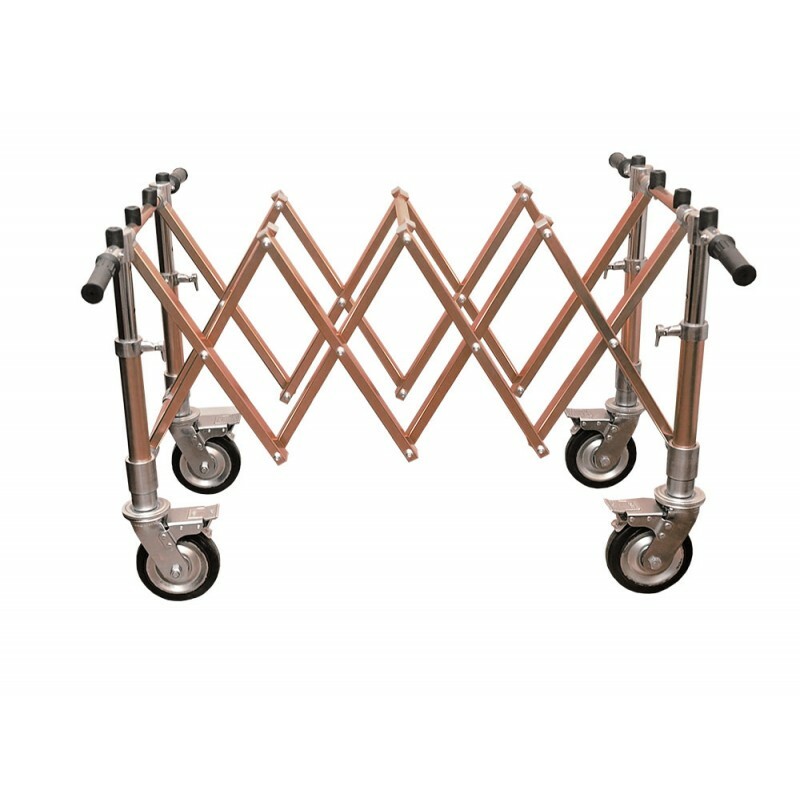 The all new Rose - Gold colored MOBI Church Truck is constructed from durable aluminum tubing, is both light weight and sturdy for transporting and displaying any size casket, and has a load bearing of 1000 lbs. 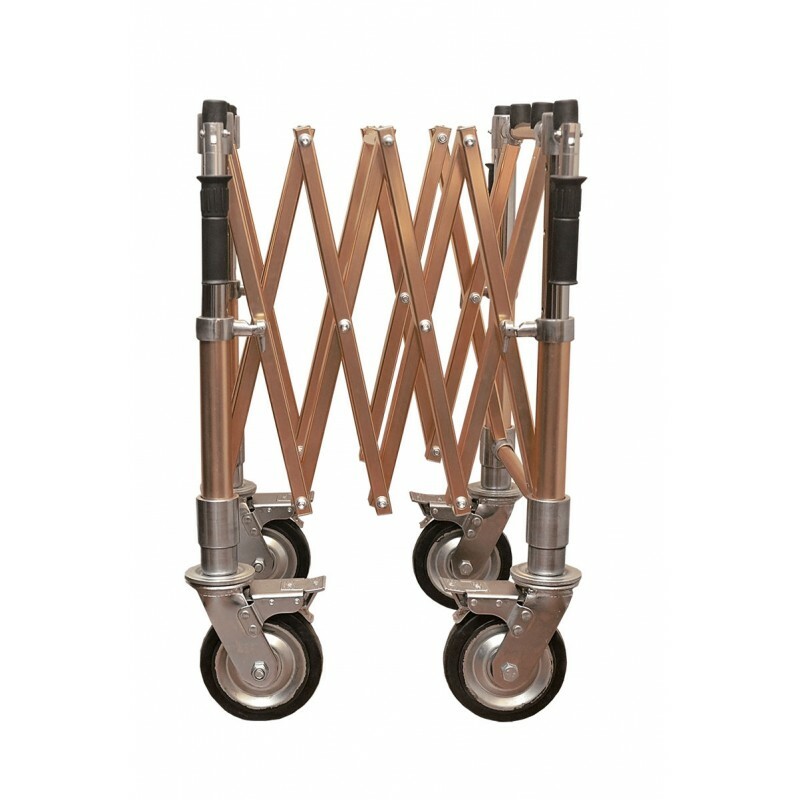 Heavy duty swivel castors with foot brake makes it convenient and easy to maneuver. Has 4 locking accordion positions. 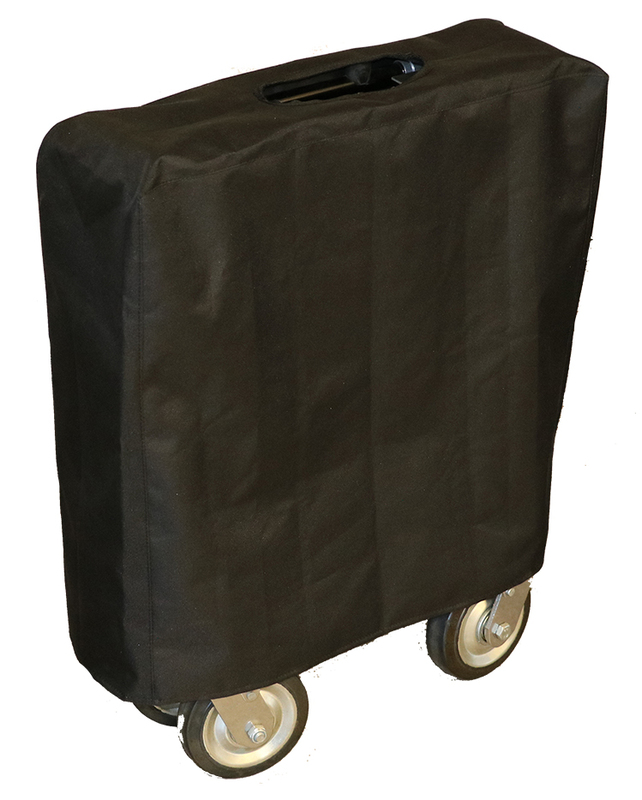 Equipped standard with lift assist handles to navigate over raised thresholds, curbs, or sidewalks.